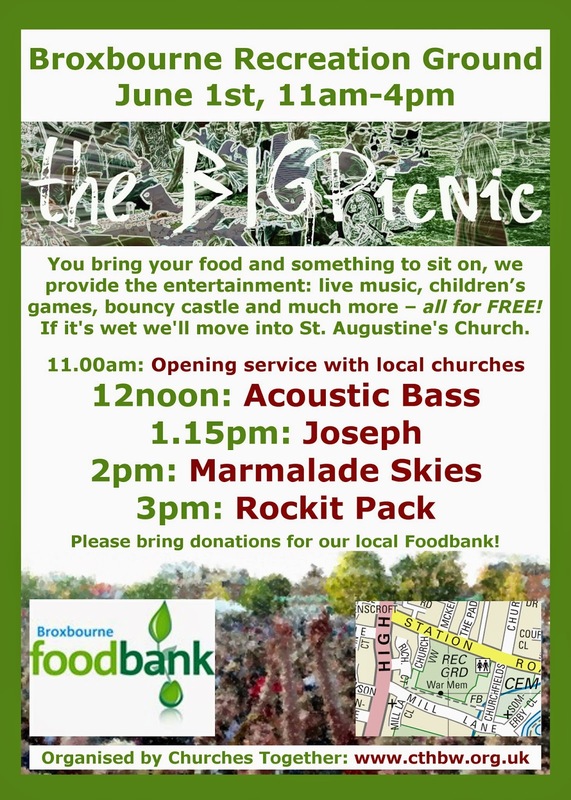 As you can see from the poster below, things are taking shape for The BIGPicnic 2014! The bands are in place including two who are new to us, Joseph & Marmalade Skies. Acoustic Bass is Mario's band who you might remember from last year. Like last year all activities are free! We are, however, taking collecting donations of food for the Broxbourne Foodbank and would welcome any gifts of non-perishable food. Thanks.